Google Glass is the project whereby we’ll see some of the world’s first practical applications of augmented reality. This phrase describes applications that depict overlays on top of reality. For example, if you look through your phone’s camera and see labels that show you where streets are, this is an example of augmented reality. A wearable computer that fits into glasses such as the Google Glass concept will make the many different possibilities for augmented reality and beyond into a reality. One of the first effects from Google Glass will likely be the transition towards a possibility that some people call “panopticon”. This means, “eyes everywhere,” and it refers to the fact that we are experiencing more and more low key video cameras and means of observation that are sort of slowly integrating into society. It will be easier than every to photograph and videotape people. When it comes to Google Glass in particular, if you’re wearing one, then people may not even have any idea whether they are being videotaped or not. Some people say that this will lead to serious breaches of privacy if it gets into the hands of the wrong people. But others say that it will make it easier than ever for people to share experiences with each other, to the possibly mutual benefit of all in many different ways. For example, when you have more people watching, it becomes much more difficult for crimes against any individual people to happen. The only conceivable limitation to this effect in the long run is the availability of wireless internet service. But it’s likely that this will eventually be offered more and more for free by cities, nations, and so on, so that high bandwidth streaming of video at a flow or free cost will become increasingly more common. Another obvious use for something like Google Glass is in making the ability to follow directions even easier than ever before. For example, someone who had this device could use Google Maps in a totally new way. The directions could be seen live on stream as an overlay. You could follow a blue line that seems to weave through the roads that will take you to your destination. Even though information is all over the Internet these days, the issue is becoming convenient access. We just don’t have time to pull out our smart phones and look up all information we might want in the moment. But when you’re wearing them over your eyes, suddenly you can simply look around the room or the area and have your eyes fill up with information. You can see where landmarks are, potentially even eventually identify objects through apps like Google Goggles, and so on. Another possible effect from the Glass project is a heightening of the already heightened process of inter-connectivity between people on Earth. After all, you’ll be able to get text messages, video phone calls, and the like up on your glasses without even having to take out your phone, you’ll just instantly see it when it happens. One way or another, projects like Google Glass are slated to have a major effect on global society that will be seen more and more over the coming years. Do let us know via comment about what do you think about Google Glasses. Wow. Such an innovative device. Looks like things in fictional movies are coming into ours real lives. Thanks for your comment, yes you are actually right. What we have seen in movies 10-15 years ago it became the reality. Really amazing! Great post! , it is a very good idea but when will Google Glass will launch..? Thanks for your comment and have a great one! This is really a very nice project in my own opinion. But just as you said here, any good thing also has a bad side of it. Google glass will certainly minimize crime and it will also be unavailing many hidden truths because most people will not even know you’re capturing them just as you said. But with such a device, there will be nothing like secrets again. Google glass will really be a very good invention because of all the benefits you outlined here. But, I’m sure there will also be some demerit parts of it. Thanks for your comment and for the kind words! I didn’t realize that Google Glass can actualy make criminals more apprehensive. This post gave me a lot of insight about the uses of Google Glass. I agree that it has a lot of advantages. But I think it’s also a double edged sword. Anyway, I can’t wait to try Google Glass! I hope that it won’t cost a fortune! 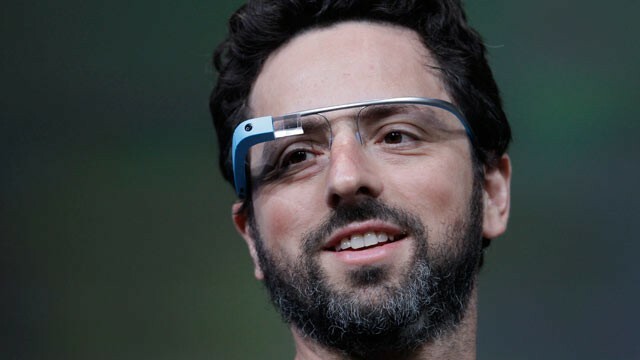 I think Google Glass is one of the best innovation in the field of consumer electronics. Thanks for shearing.